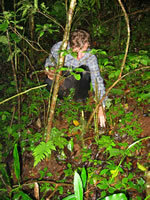 Ndundulu Forest, Udzungwa Mountains, Tanzania. Note snare scar across thigh. 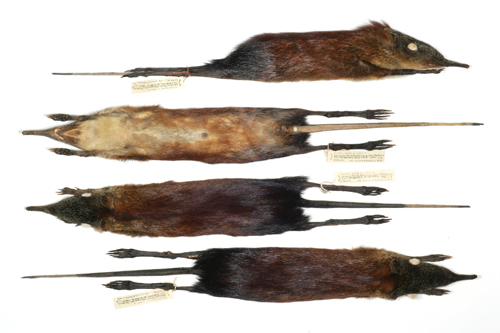 Museum study skins of the four gray-faced sengi voucher specimens. 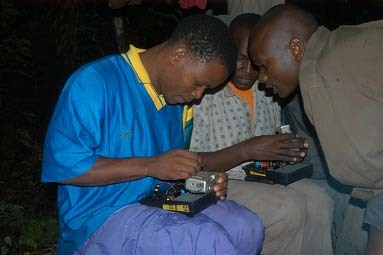 Arafat Mtui, of the Udzungwa Ecological Monitoring Center, training field assistants to assemble camera traps. 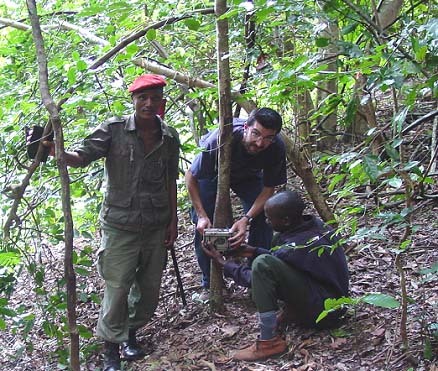 Arafat Mtui and Francesco Rovero, protected from big game by an armed ranger, positioning a camera trap in the forest. 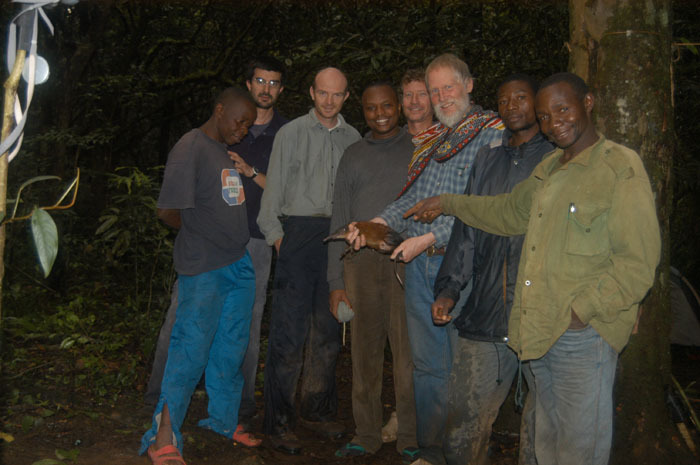 Expedition members with the first gray-faced sengi captured. 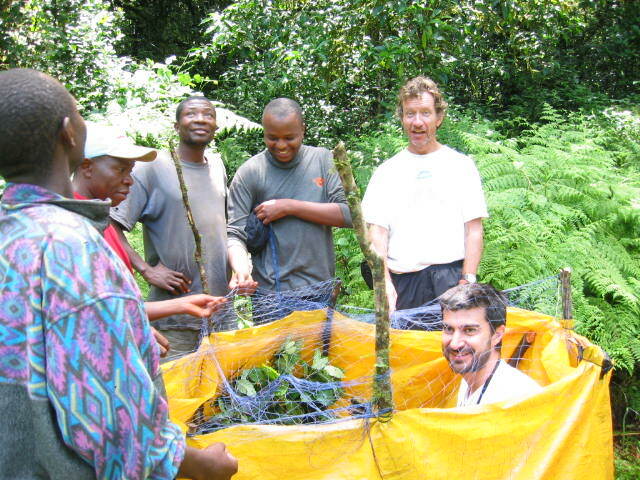 Left to right - Amos Lugami, Francesco Rovero, Andrew Perkin, Charles Leonard, David Ribble, Galen Rathbun (with sengi), Ruben Mwakisoma, and Amani Kitegile. 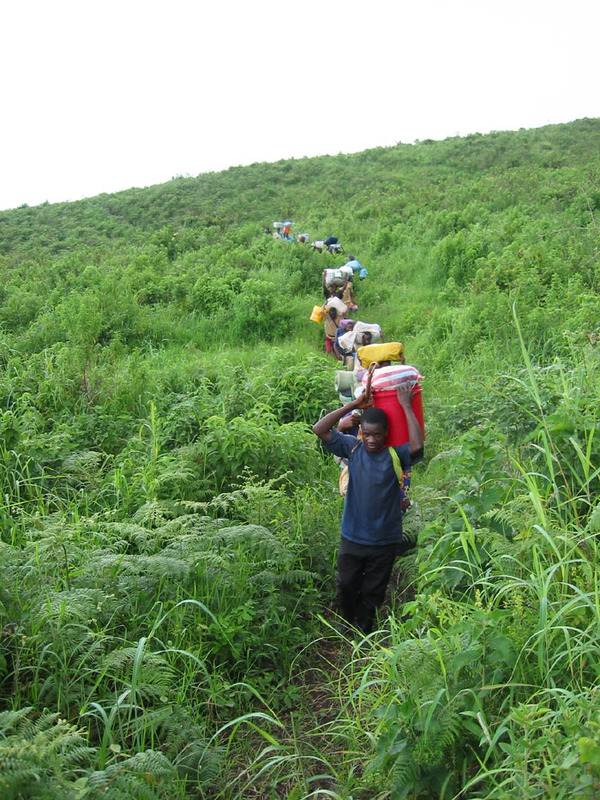 Porters on eight-hour hike carrying equipment and supplies through grass and braken fern habitat before reaching the forest. 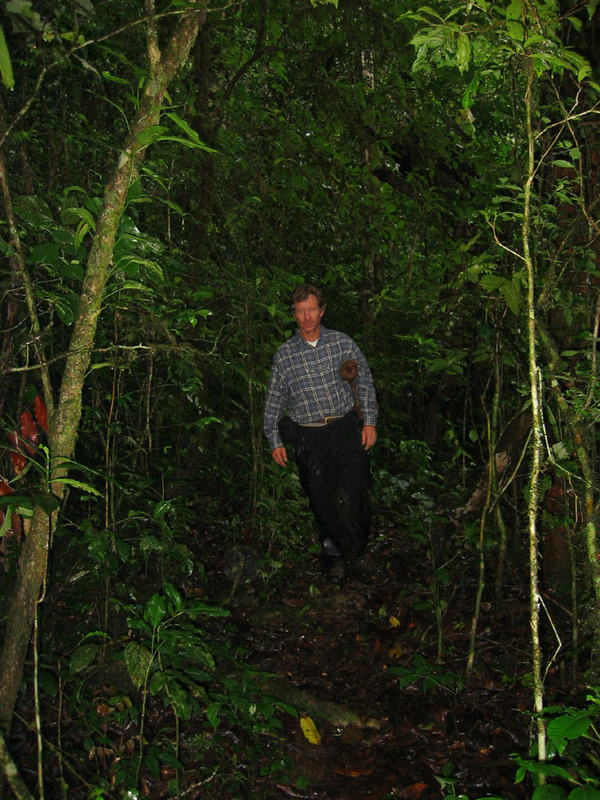 David Ribble on path through dense forest, which is gray-faced sengi habitat, near base camp. 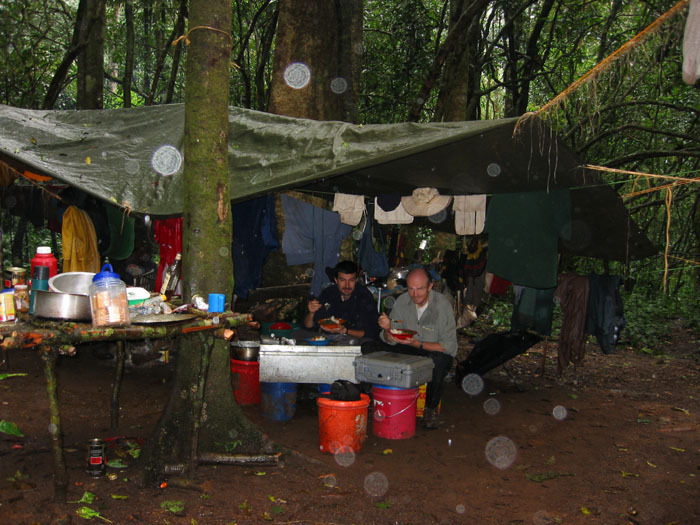 Kitchen, laboratory, and rain shelter at base camp. 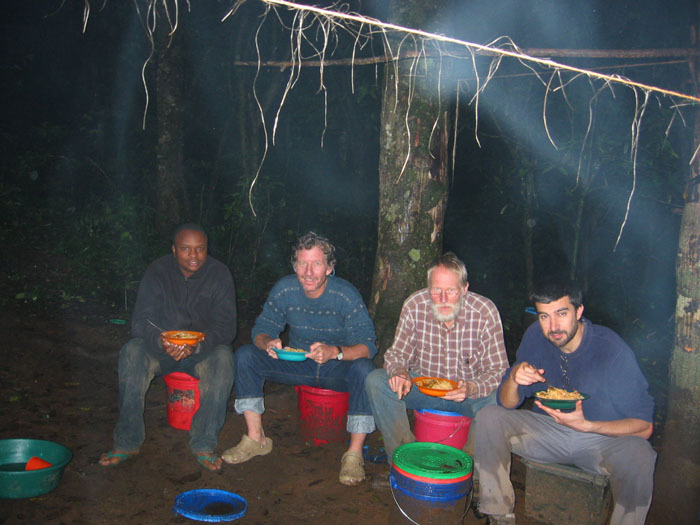 Charles Leonard, David Ribble, Galen Rathbun, and Francesco Rovero at dinner. 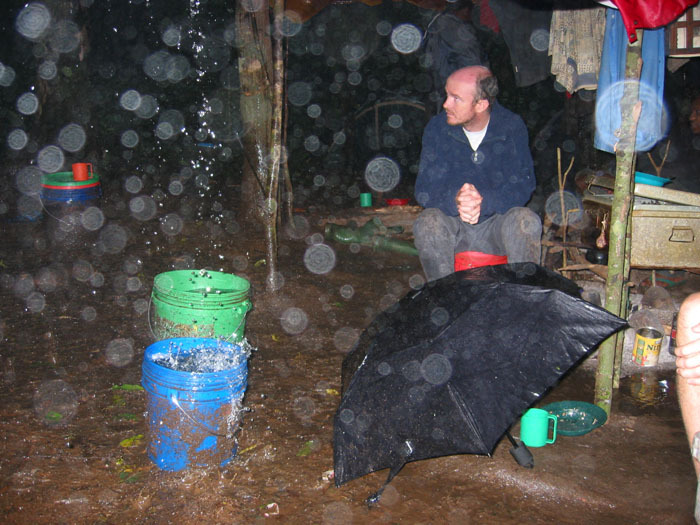 Andrew Perkin waiting (wishing) for the daily rain to stop. 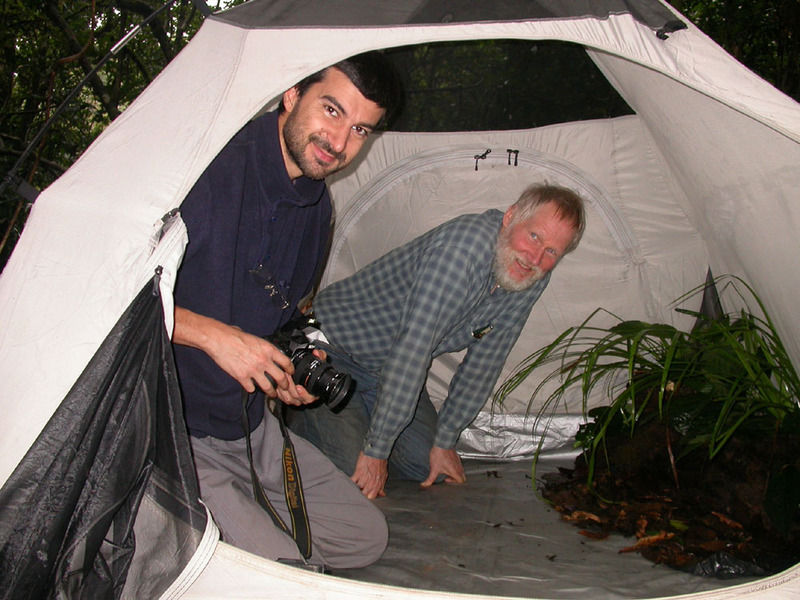 Photographing a gray-faced sengi required a photographer (F. Rovero) and sengi wrangler (G. Rathbun). To ensure that none of the valuable animals escaped, the tent was zipped shut while shooting. 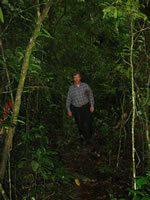 Expedition members stand guard around a photography corral in a forest glade during an unusually sunny afternoon. 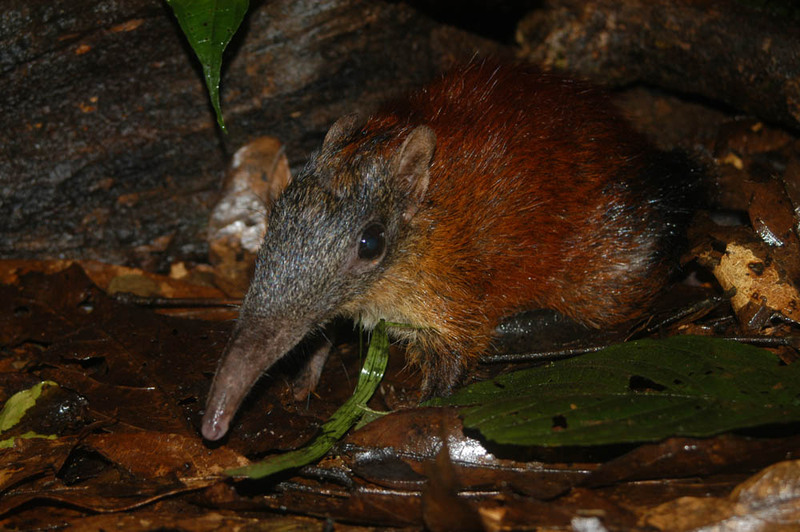 Francesco Rovero and a gray-faced sengi are both inside the corral, which is covered with netting to prevent the sengi from leaping out and escaping. 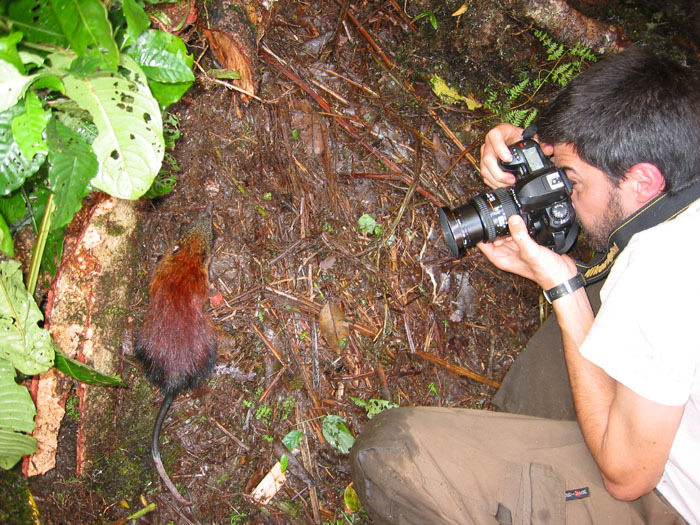 Francesco Rovero at work with a gray-faced sengi in the photo corral. David Ribble pointing out the noose of a snare (green nylon twine) set on an indistinct path through the forest that might be used by a gray-faced sengi. 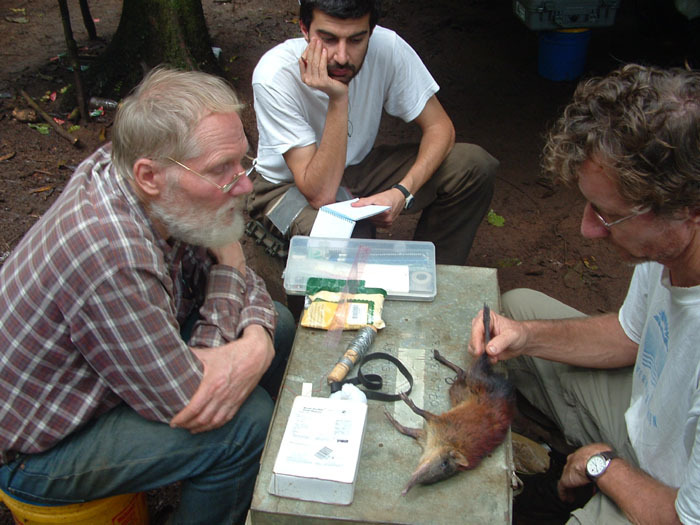 Galen Rathbun, Francesco Rovero, and David Ribble about to prepare a gray-faced sengi specimen. 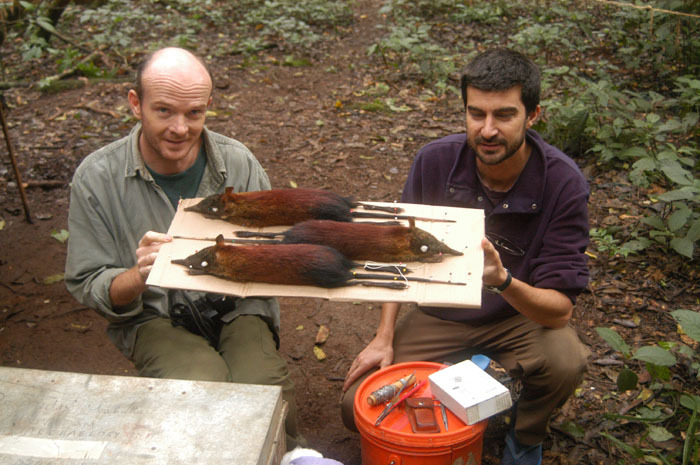 Andrew Perkin and Francesco Rovero with three museum study skins of gray-faced sengis prepared for drying. 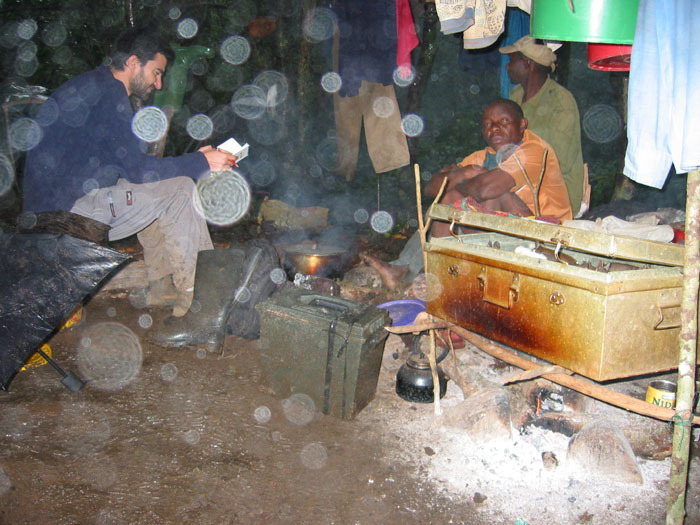 Daily rain and high humidity in the forest required a make-shift oven over a campfire to dry the gray-faced sengi museum study skins. 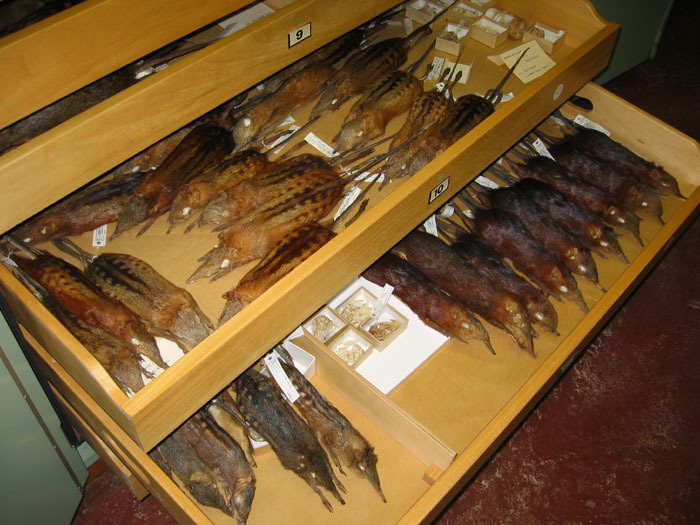 Various different forms of giant sengi study skins in their cabinet drawers. 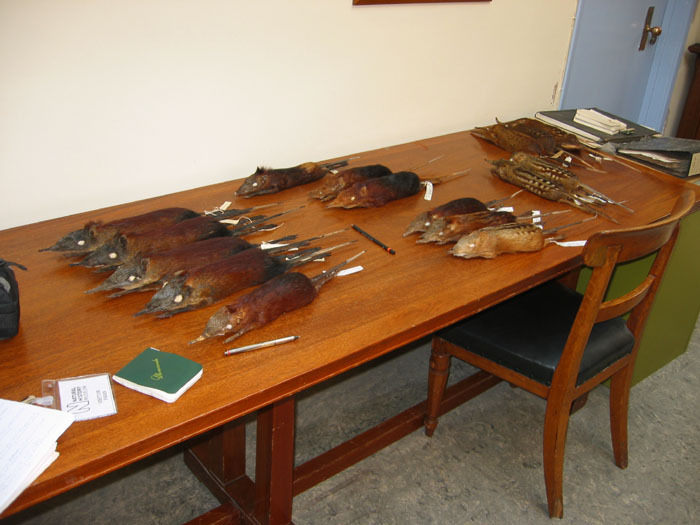 Selected study skins of different forms of giant sengi. Top four in near row are gray-faced sengis. 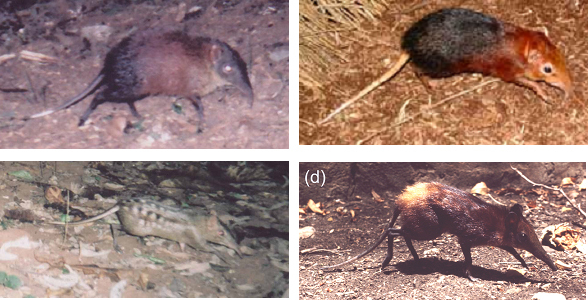 (a) gray-faced sengi (camera trap image), (b) black-and-rufous sengi (captive), (c) checkered sengi (camera trap image), and (d) golden-rumped sengi (captive). Plate from Rovero, F. & G.B. Rathbun. 2006. 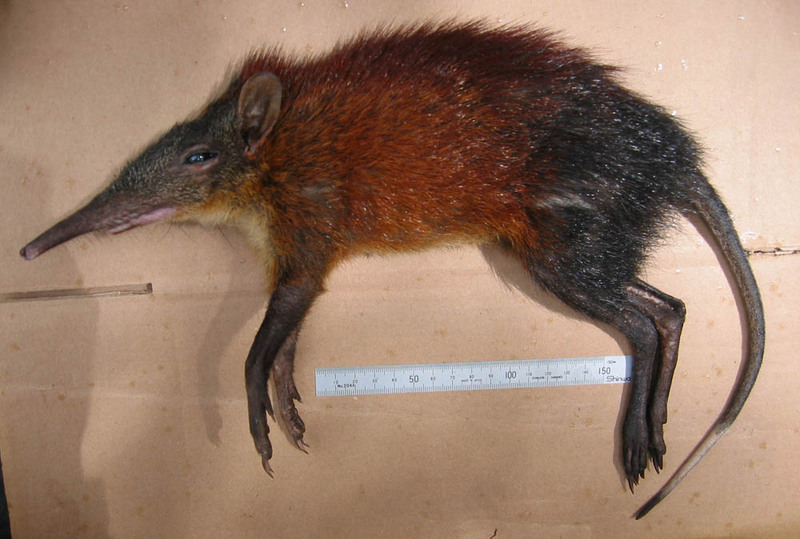 A potentially new giant sengi (elephant-shrew) from the Udzungwa Mountains, Tanzania. Journal of East African Natural History 95:111-115. 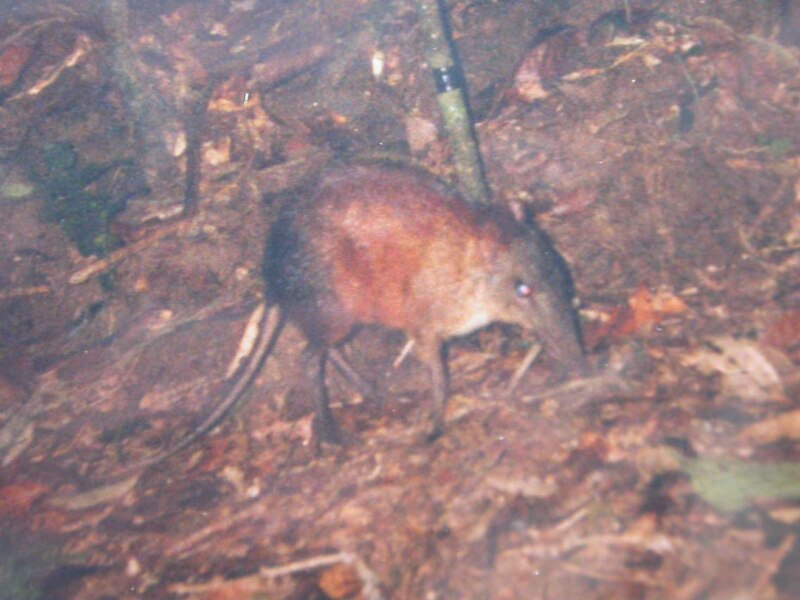 Camcorder trap video sequence of a gray-faced sengi foraging on a game trail through the forest. 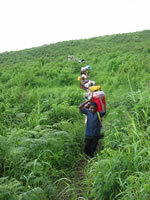 Click here to see the main gallery of photographs for Sengis.